Gillan had announced only a few weeks earlier he was leaving Black Sabbath to ‘reform Gillan’…really? Obviously not! 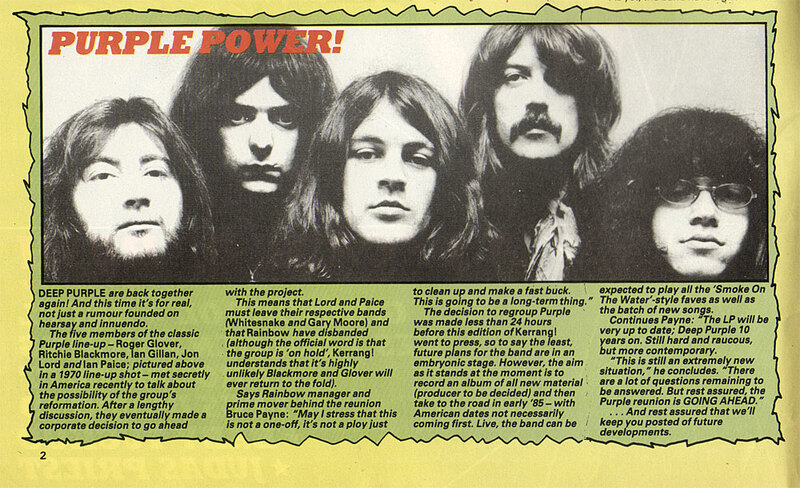 Ian Paice had also been interviewed a few months earlier (whilst a member of Gary Moore’s band) and stated that Purple had been ‘an ego-maniac driven thing’…oh the lure of the big bucks!!! At least it did actually for several years, despite the old rivalries getting in the way a couple of times.